4) After searching select the app you want to download and Do a Right Click on the app and then click on Download this app as shown below. 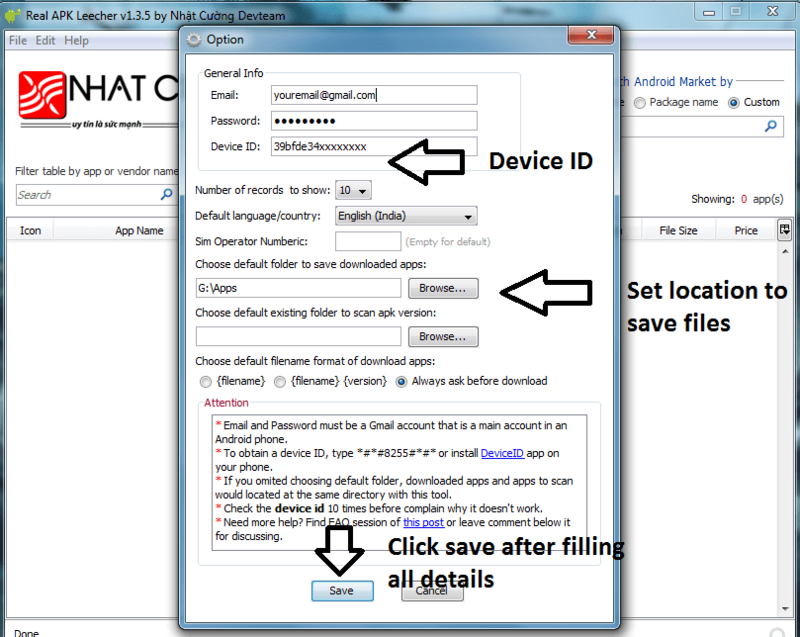 hi, now that the app is downloaded to pc, how to install it in android phone? Yeah they can be moved to memory card…..
After moving apk file to Memory Card ……. Again does it require internet connection to install it?? 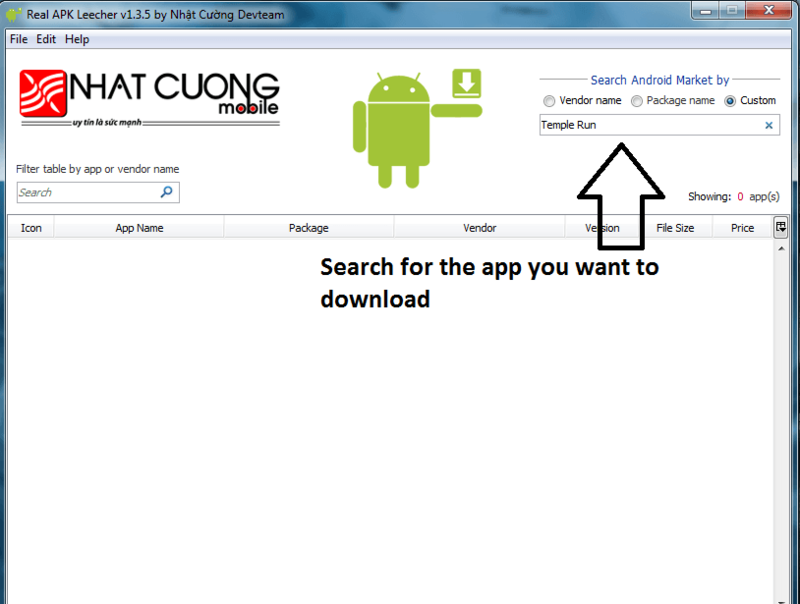 I download and installed the Real APK Leecher on my PC. But when I search any application on the right top corner ” Search Android market By ” than I get message “Cannot load the list of apps. Please check your internet connection” while I run my mail whole day on the system. Net is working on the system. Pls help. I have even updated the java. 1) Generally happens if you provide wrong device id. So check your device id carefully.Make Sure that You are Using the Same Playstore account as Mentioned in Your Phone. 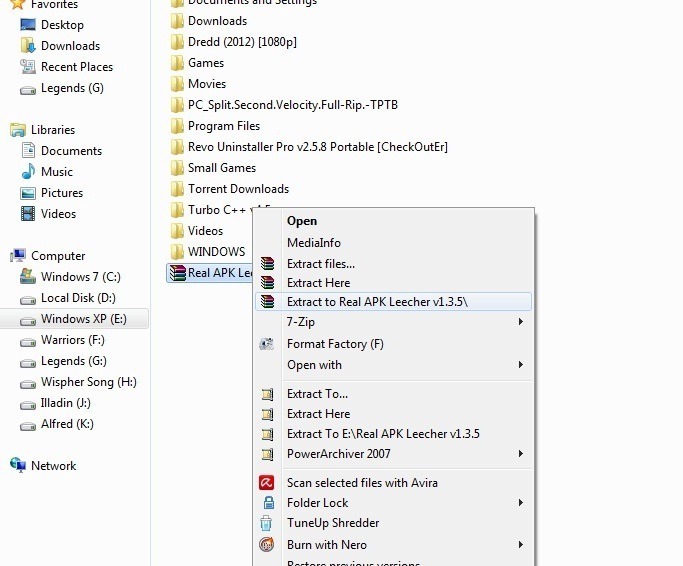 2) You Have provided the wrong path which the tool uses to save the downloaded apks. 3) The app you’re downloading is a paid app and you didn’t purchased it with your account. Really useful. Wi-Fi’s crap atm, so thanks for making this step-by-step guide. after unzipping when i tried to run the progrm it says “could not find the main class,program willl exit” what to do now admin???? is it safe to use the real APK leecher..? 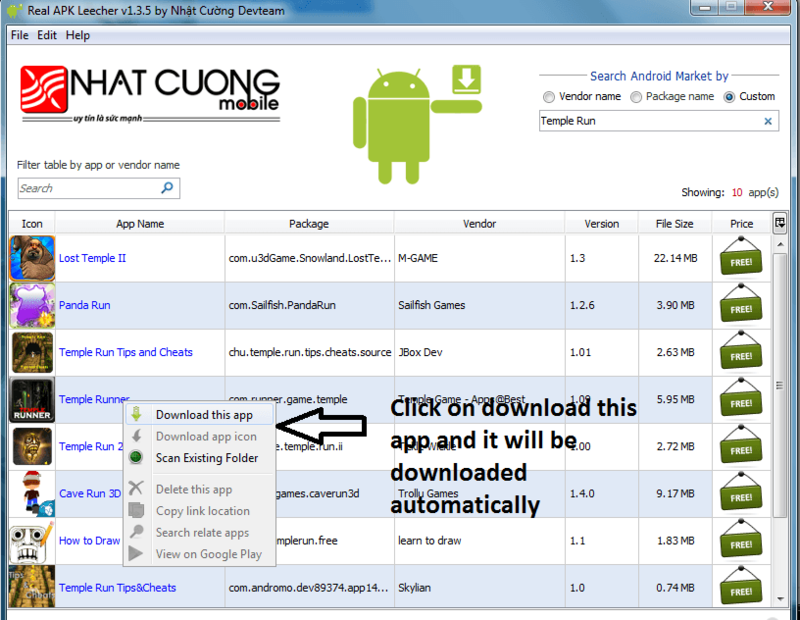 wil d apps downloaded be tagged as those downloaded from an unknown source..? Cannot load the list of apps.please check your internet connection. althoug i am using internet but it is not showing,..
am nt able to get ma device id.. whn I dial d *#*#8255#*#* it says to chek d number..y is it so..? You Have To Download Separate Data for such Game you can Find it over google and Download it…….. Thank u so much Pankaj …..
after doing successfully installation and downloading , what about exit. should i do the same process every time for downloading ?? No All Verification Data Entry is For One Time…..
Its is asking for java environment …..what should i do..???? 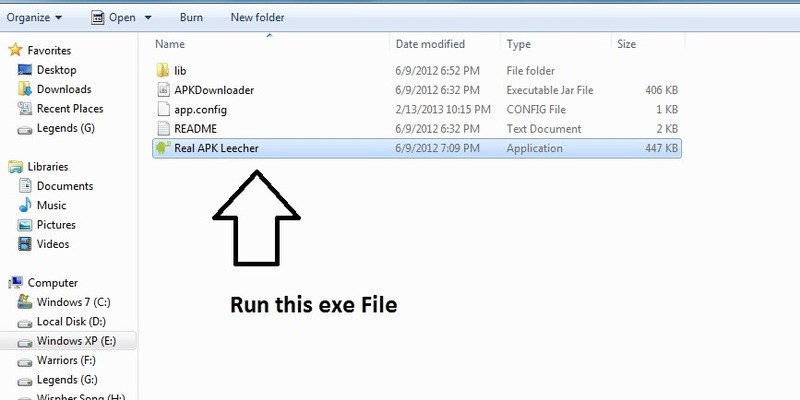 please tell me i need this software…. hey aftr opening real apk leecher it is saying something abt java something… so what should i do….????? This is very important software for those who can not download on their mobile because of no internet or poor access and i think there are 75% such people. so finally I want to say that this is very very very very very very very very very very very very very very very very very very very very very very very very very very important software. I like it. Thank you. Where can i dial that number ? I find it . Thanks for sharing the ideas! Please Update your Java Runtime to the latest version and then try the procedure again….